Frontend.com is one of the featured companies in ‘The Irish Advantage’ a major promotional campaign from Enterprise Ireland highlighting the international successes of Irish businesses partnering with global customers. In a detailed interview with Frank Long, Director at Frontend.com, they explore how the company’s forward-looking mindset aligns with the kinds of product, service, and process innovations which Enterprise Ireland have identified as the key driving factors in global markets today. 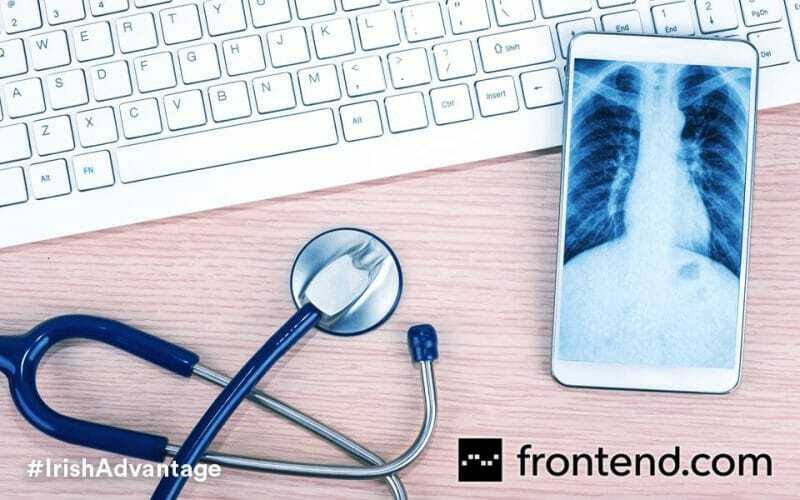 Focussed specifically on Medtech, the feature interview delves into Frontend’s success in addressing the many technical challenges in delivering patient-centric solutions into complex and highly regulated healthcare spaces. Enterprise Ireland’s interviewer also investigates Frontend’s design philosophy of empowering end-users which has made the company a go-to design partner for global firms such as Merck, the healthcare science and technology company. Read the complete Irish Advantage Medtech Success Story article. Enterprise Ireland is the government organisation responsible for the development and growth of Irish enterprises in world markets. Working in partnership with Irish enterprises EI helps them to start, grow, innovate, and win export sales in global markets.